Wood stove manufacturers, EPA regulators, state air quality officials and potential stove buyers gathered under one roof in an annual ritual that provides a fascinating snapshot of the future of wood heat in the United States. The manufacturers included those who produce both the cleanest, next generation units, and the dirtier, last generation units that are about to be regulated out of existence. State air quality officials had the opportunity to see the units in operation that they may accept or ban in their states. And the EPA, which brought a large contingent this year, was intensively seeking input from the industry about by what means and by how much it should tighten federally mandated air quality regulations. The annual expo, hosted by the Home, Patio & Barbecue Association (HPBA) brought over 7,000 people to the Orlando convention center. HPBA arranged for scores of meetings between EPA officials and the caucuses that represent pellet stoves, pellet producers, wood stoves, outdoor wood boilers, masonry stoves, cook stoves, coal stoves and fireplaces. Many of these technologies, which have never been regulated before, are expected to have to meet EPA emissions standards several years from now. The most prominent representatives of EPA and industry - Gil Wood and John Crouch - both of whom have decades of experience with hearth products engaged in productive and sometimes heated exchanges throughout the conference. The Alliance for Green Heat extends our appreciation to both the EPA and to HPBA for allowing non-profits like us to attend and participate in many of these sessions. 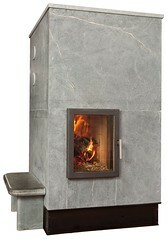 In the pellet category, Thelin’s Tiburon stove took first place for its beautiful design. Thelin is located in Sacremento, CA and specializes in stoves that have an old-fashioned "Parlour, Pot Belly" look. The Tiburon is still in development and has not yet been third-party tested for emissions. In our opinion, the most controversial award went to an outdoor wood boiler made by Central Boiler, instead of to the runner up, a masonry stove. The boiler, known as the E-Classic 2400, has an emissions rating of 3.3 grams per hour and 5.4 grams per hour on its highest test run, making it the cleanest burning outdoor boiler that burns wood (pellet boilers have generally lower emissions). (Note: A 3.3 gram per hour rating for an outdoor boiler is different from a 3.3 for a wood stove, because both the test method and the fuel protocol are different.) The E-Classic is a major step forward in both emissions and efficiency and holds real promise for what continues to be the most controversial class of wood burning products in the United States. Our issue is not with the E-Classic 2400, but with the manufacturer, who we don’t believe has been the best corporate citizen in the industry. Central Boiler is the largest manufacturer of outdoor wood boilers in North America and is very active in fighting against state and county regulations that would help improve air quality. 75% of Central Boiler sales are still made up of unregulated outdoor wood boilers that are often incredibly polluting and may be in close proximity to neighboring homes. While this is still legal in about 43 states, it has contributed to giving our industry a bad name and undermines progress towards getting biomass accepted as a first tier renewable energy source. The runner up for that Vesta Award was the Helios masonry stove, a 13,000 Btu/hour heater that is both the cleanest and most efficient in its class. Rod Zander, who designed the Helios, is using advanced European designs but the unit is made by New England Heath and Soapstone. While the market for masonry stoves in America has been relatively small, tens of thousands are produced and installed in some European countries every year. The winner of this year’s VESTA Green Product Award, the Earth’s Flame fireplace grate makes conventional fireplaces much cleaner. Designed to fit into existing masonry and zero clearance fireplaces, Earth’s Flame uses an angled refractory panel and pre-heated secondary combustion air to achieve up to 72% reductions in particulate emissions from fireplaces. The award was given based on emissions, and doesn't imply that fireplaces with the Earth's Flame grate are any better at heating a home than conventional fireplaces. The refractory plate is held above the combustion zone of a traditional fireplace, keeping combustion gases and particulate matter in the hottest zone longer for more complete combustion of potentially harmful pollutants. The plate also increases the turbulence of combustion gases, mixing them more completely with pre-heated air and burning the suspended particulates more completely before gas leaves to the chimney. The resulting fire’s emissions are 33% below EPA Phase 2 voluntary standards for a 36” zero clearance fireplace. The grate is not yet available for purchase, but if you are interested, you can sign up at the producer’s website to be notified when it enters the market. Enter a Video in EPA's 48-Hour Burn Wise Video Contest! The U.S. Environmental Protection Agency is sponsoring a video contest for professional and amateur filmmakers on Burn Wise, the agency's campaign to help citizens reduce pollution from their fireplaces and other wood-burning appliances. 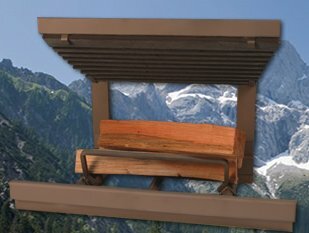 With the theme "Learn Before You Burn," the winning 30- or 60-second videos will promote responsible wood-burning techniques that can help citizens save money while making the air healthier to breathe. Winners will receive cash awards, and their videos will be provided to television stations as public service announcements. Prizes are as follows: first place, $2,500; second place, $1,000; third place, $500 and viewers' choice, a $250 U.S. Savings Bond. Each video must cover three basic steps: what to burn (only dry seasoned wood), how to burn it (maintain a small, hot fire) and what to burn it in (an EPA-approved wood-burning appliance that you have maintained each year). For the safety of the filmmakers, no real flames may be used in the videos. Some information is available to help filmmakers get started right now on the contest Web site. Then, at noon EST Friday, April 9, EPA will reveal three mystery criteria that must be included in the videos on the contest Web site. Final videos must be uploaded to EPA's YouTube channel within 48 hours -- by noon EST Sunday, April 11. Viewers will vote on their favorite video via YouTube. Six states have 70% of all installed outdoor wood boilers: Michigan, Wisconsin, Minnesota, Ohio, New York, and Pennsylvania. Michigan alone is home to 20%! In a March 2006 study, it was estimated that there were nearly 166,000 unregulated outdoor wood boilers (OWBs) in the U.S. As of then, nearly 20% of all OWBs were in Michigan, where many of the top manufacturers are located. Of the 6 states, none have yet to successfully regulate OWBs and allow only the cleaner burning, EPA qualified versions to be installed. New York legislators attempted to pass a bill to regulate use at the state level, but the bill is currently considered dead in the water. Still, the EPA considers the voluntary OWB program to be a success because it has led to the development of extremely clean burning units. Unfortunately, only a handful of states restrict installations to clean units. Pennsylvania is aiming to join their number with a set of regulations currently in progress. The U.S. Senate released a draft version of the Home Star program, known as Cash for Caulkers, that includes high efficiency wood and pellet stoves and boilers. To be eligible for the $1,000 rebate, stoves need to be 75% efficient and boilers 80% efficient, be third party tested and meet several other requirements. The Home Star program sets a strict standard, as it does with other appliances, by only allowing the cleanest and most efficient stoves and boilers to qualify. Some experts believe only 10 - 20% of stoves and boilers on the market will qualify. The EPA has never required efficiency testing for wood stoves and boilers, their emissions standards have not been updated in more than 20 years and they have not set up an Energy Star program for wood stoves or boilers. The EPA allows up to 7.5 grams of particulates per hour, but engineers today are making stoves that emit as little as 1 gram per hour. Home Star requires 4.5 or lower. "Wood stoves may be one of the only surprises in the Home Star bill. However, wood and pellet stoves and boilers are making a comeback and are cropping up in more and more efficiency and renewable energy programs," according to Mr. Ackerly. "New advances in technology are making wood and pellet stoves incredibly clean and efficient. The Home Star standard will finally set a more challenging bar for an industry undergoing rapid change and innovation." The Alliance for Green Heat provided expertise and advice the Technical Committee made up of groups such as ACEEE, Efficiency First and NRDC who were instrumental in crafting efficiency standards in the Home Star program. Important: This is a summary of key provisions in the Home Star program as released by the US Senate Committee on Energy and Natural Resources. Language may change before it is passed into law. The DOE will issue final clarification on these issues. This is only our interpretation of the bill based on discussions with members of the Technical Committee that helped to draft it. The rebate is for 50% of purchase and installation costs up to $1,000. Sec. 2104(d)(1). The rebate will be immediate if its from an approved store (an "aggregator'). Once the bill is passed into law, which could happen in March, the DOE is supposed to finalize all details within 30 days. Potentially, homes could start participating in May. Sec. 2102 (e). Wood and pellet stoves need to be 75% efficient and meet the Washington state standards of emitting no more than 4.5 grams of particulates per hour. Boilers, including boilers, must be 80% efficient. Sec 2104(b)(8)(A)(v)(II). Unlike the federal tax credit, which allowed manufactures to certify that their products are 75% efficient, this program requires third party certification. Sec 2104(b)(8)(A)(v). We believe that this will mean that the appliances has been tested by one of the five EPA accredited wood stove testing facilities in North America, or a similar institution based in Europe. Its is expected that the existing data that testing facilities have from emissions testing can be used to calculate efficiency, so that stoves do not need to be tested again. The testing facilities will have to submit this data to DOE or whoever is designated by DOE to determine what appliances meet the threshold. For a list of accredited facilities in North America click here. The stove or boiler must be able to meet 75% of the heating demands of a home. For stoves, this means that the program will favor larger stoves - and smaller homes. Boilers would normally be sized to meet 100% of a home's heating needs. From what we understand, the "qualified contractor" makes that determination. This presumable means 75% of average annual heating needs, not the ability to heat 75% at any particular time. There are apparently a few errors in this version of the bill that the Senate Committee released and this is one of them. Langauge that says the new system is the primary heating system will likely be removed. Sec 2104(b)(8)(A)(v)(I). The stove or boiler must have "a distribution system (such as ducts of vents) that allows heat to reach all or most parts of the home." Sec 2104(b)(8)(A)(v)(I)(bb) Since the stove or boiler must be able to meet 75% of the heating demands of a home, it is expected that this means that unless the home is very small and the stove can heat all or most of the home from where it is placed, some distribution system will be required. If the upstairs is small, a simple vent in the ceiling of the room where the stove is located may suffice. Or, in a smaller one-story house, door frame fans may suffice. If the home already has a forced air furnace, the fan function using the existing ductwork to distribute warm air throughout the house may suffice. To purchase a wood stove and receive the rebate, you have to replace an existing wood stove. However, there is no replacement requirement if you are buying a pellet stove, or a pellet or wood boiler or furnace. The existing stove does not have to be a pre-1988 EPA certified stove. The stove or boiler must be installed by a "qualified contractor" who meets certain standards included being licensed, bonded and will warranty their work is free of defects. Sec. 2101(17). The program only covers existing principal residences that are in the US. New construction is not covered. The federal 30% tax credit, up to $1,500, also applies through the end of 2010. (It could be extended beyond then.) Thus, if a stove and installation came to $3,500, the rebate would be $1,000 on the spot, and you would get a credit for 30% of the $2,500 that you are out-of-pocket, which would be $750. Your final cost would be $1,750, exactly half of the original price.